Four anthropoid wooden coffins, three wooden canopic jars, and four ushabti boxes have been unearthed inside an unidentified burial shaft located in the northern area of the Ramesside tomb of Ta in the Dahshur Necropolis, south of Giza plateau. Minister of Culture Farouk Hosni announced that this discovery was made by a Japanese mission from the Institute of Egyptology at Waseda University. Dr. Zahi Hawass, Secretary General of the Supreme Council of Antiquities (SCA) said that although these coffins are empty now, due to looting by tomb raiders in antiquity, their original features remain intact. He continued that preliminary study of these coffins has dated them to the Ramesside Era or the Late Period. The coffins are divided into two sets, each consisting of multiple coffins covered in black resin and decorated with yellow inscriptions. The two sets belong to two persons, previously unknown, called Tutpashu and Iriseraa. Dr. Sakuji Yoshemura, head of the Japanese mission, said that the first set bears the images of its owner and various ancient Egyptian gods, while the other is decorated more simply. The names of both persons are written on the canopic jars and ushabti boxes, which contain at least 38 partly broken wooden statuettes. Thanks to Tony Marson for sending the link to me. Japanese archaeologists working in Egypt have found four wooden sarcophaguses and associated grave goods which could date back up to 3,300 years, the Egyptian government said on Thursday. The team from Waseda University in Tokyo discovered the anthropomorphic sarcophaguses in a tomb in the Sakkara necropolis, about 25 km (15 miles) south of Cairo, the Supreme Council for Antiquities said in a statement. Sakkara, the burial ground for the ancient city of Memphis, remains one of the richest sources of Egyptian antiquities. Archaeologists say much remains buried in the sands. The tomb also contained three wooden Canopic jars, in which ancient Egyptians tried to preserve internal organs, and four boxes for ushabti figures, the miniature statues of servants to serve the dead person in the afterlife, the statement said. 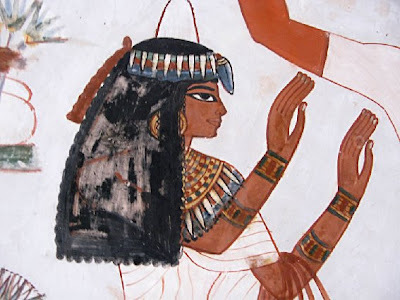 The sarcophaguses did not contain mummies because the tomb was robbed in ancient times but have the original black and yellow paintwork showing ancient Egyptian gods, it said. The coffins were in excellent condition, with their original features and colored reliefs of deities in black and yellow, the Supreme Council of Antiquities said in a faxed statement today. They date back to either the Ramesside Period or the Late Kingdom of ancient Egypt, making them between 2,300 and 3,300 years old. The archaeologists from Tokyo’s Waseda University also found jars that the ancient Egyptians used for human entrails, as well as 38 wooden figurines, the statement said. Most of the figurines are in a state of disrepair and have been put into storage before they will be reconstructed, it said. Sakuji Yoshimori, the head of the Japanese dig, said the coffins belonged to two men named Tut Bashu and Ary Sara. No further details about the lives of the owners could be gleaned on initial inspection. Beware the unconnected video, with audio, which starts automatically when you hit the page. Most of the 38 wooden figurines inside the ushabti boxes were broken, but one of them was unopened and reportedly in excellent condition. It belonged to a man by the name of Tut Bashu, who was the original owner of one of the coffins. A man called Ari Saraa was the owner of another sarcophagus. The report said the burials dated from the Ramesside period or the Late Dynastic Period -- anywhere between about 1300 and 330 BC. The last season of the mission lead by Prof. Karol Myśliwiec, from the University of Warsaw's Mediterranean Archaeological Center, in Egypt ended with spectacular discoveries, that will help scientists understand procedures in preparing graves in the time of the Old Kingdom. The archaeologists also have found new aspects of burial rituals. The excavation zone is located about 150m. west of the oldest Egyptian step pyramid, that was built for Pharaoh Djoser (27th century B.C.). Poles began excavations in 1987. This was land untouched by other archaeologists. Nobody predicted that Prof. Myśliwiec will achieve success. Jean-Phillipe Lauer - one of the most famous Saqqara experts, who in the 70's spent time on examining and restoring Djoser's complex, didn't think that the Poles would find anything more than a quarry or an ancient rubbish dump. W 1987 geophysical examinations were carried out. They showed that under the sand's surface there are a lot of artifacts. In the beginning it was decided to make three survey digs, each of the dimension 5x5m. So far the area of almost 2400 sq. m. has been examined. Archaeologists managed to establish that the necropolis existed in the time of the Old Kingdom (2686-2160 B.C. ), and later burials were situated there 2000 years later in the Ptolemy era (332-30 B.C.). Scientists suspect that before Alexander the Great's body ended up in Alexandria, it was buried for a while in Saqqara. This would explain the creation of a new necropolis. From the beginning of Egyptian civilization, it was a dream to be buried close to the Pharaoh, who was the incarnation of god. "Each grave of an Egyptian dignitary is made up of two parts. The underground could be reached by a shaft in rock that could be even 20m. deep. At the bottom of this shaft, normally on the west side a chamber, in which the sarcophagus was placed, was cut out" - says Prof. Myśliwiec. He added that in cases of very rich people it was a stone casing,, in other peoples cases it was a wooden or even reed sarcophagus. The shaft leading to the burial chamber was securely filled in with sand and covered with a mastabah (Arabic for bench). The construction was similar to a cut pyramid. Thanks to Vincent Brown's Talking Pyramids blog for highlighting this video. It lasts for over two minutes and offers a short overview of some recent discoveries and some ongoing problems in Egyptian archaeology. There's some nice footage, if brief, of some of the Saqqara sites including the shaft beneath the newly discovered pyramid and the interior of the Step Pyramid of Djoser. From pre-dynastic times, early Egyptians made their way to the Sinai Peninsula over land or across the Red Sea in search of minerals. Their chief targets were turquoise and copper, which they mined and extracted in the Sinai mountains. Archaeologists examining evidence left 8,000 years ago have concluded that some of the very earliest known settlers in Sinai were miners. In about 3,500 BC these mineral hunters discovered the great turquoise veins of Serabit Al-Khadim. Some 500 years later the Egyptians had mastered Sinai and set up a large and systematic mining operation at Serabit Al-Khadim, where they carved out great quantities of turquoise. They carried their loads down the Wadi Matalla to the garrison port at Al-Markha, south of the present village of Abu Zenima, where they set about loading them on board boats bound for the mainland. The turquoise was so valued that it became an important part of ritual symbolism in ancient Egyptian religious ceremonies. They used it to carve sacred scarabs and fabricate jewellery, or ground it into pigments for painting statuettes, bricks, reliefs and walls. To mine the turquoise, the Egyptians would hollow out large galleries in the mountains, carving at the entrance to each a representation of the reigning Pharaoh who was the symbol of the authority of the Egyptian state over the mines. A temple dedicated to Goddess Hathor was built during the 12th Dynasty, when Serabit Al-Khadim was the centre of copper and turquoise mining and a flourishing trade was established. One of few Pharaonic monuments known in Sinai, the temple is unlike other temples of the period in that it is composed of a large number of bas-reliefs and carved stelae showing the dates of various turquoise-mining missions in antiquity, the number of team members, and the goal and duration of each mission. From dynasty to dynasty, the temple was expanded and beautified, with the last known enlargement taking place in the 20th Dynasty. The jewellery, which has been preserved in 45 wooden crates since the 1952 Revolution, will be handed over to a committee of experts from the Supreme Council of Antiquities (SCA), which in turn will inspect and if necessary restore it. The Royal Jewellery Museum is housed in a two-storey palace built in 1923 in an Italian architectural style for Princess Fatma El-Zahraa, a member of the Mohamed Ali family. The foyer is a grandiose affair with soft, deep burgundy, carpets and carved and gilded ceilings. A marble staircase sweeps up to the first floor. The walls are decorated with portraits of members of the Mohamed Ali family with a brief description of each personality. The ceilings of each room are painted by Egyptian, Italian and French artists and depict tales from Greek mythology, while the ceilings on the second floor depict details of famous French and Italian love stories. Even the bathrooms on both floors are true works of art. 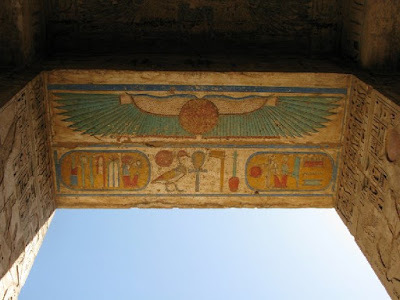 In the Ancient Egyptian language “The Gates of Heaven” meant the doors of a sanctuary housing the statue of a divinity. Symbolizing the passageway into the afterworld this expression also applies to other points of contact between the different elements of the universe as conceived by the Egyptians. Thanks very much to John Rauchert for letting me know that noticed that details of the new issue of KMT (cover and table of contents for Volume 20, No. 1 ) have been posted on their site. Hopefully it will be available in outlets soon. I went to the Byzantium 330-1453 exhibition at the Royal Academy in London (UK) yesterday morning. I'm not going to do a full review of it but I thought I'd note down a couple of things. There are a couple of logisitcal points worth highlighting. I had pre-booked tickets for the 10am time slot (they are split by the hour). I arrived a little early hoping to collect them without a queue but the doors weren't opened until 10am on the dot, so there was instantly three queues - one to buy tickets, one for prebooked tickets and one for the cloakroom. In spite of the confusion at the pre-booked ticket machine (and you need the card with which you paid for your tickets, which was causing some people headaches) the queues went down quite quickly. The RA now have strict rules about what sort of baggage they will accept in the galleries and in the cloakrooms. These are shown on the wesbite. My friend, who put his coat into the cloakroom, says that there is an airport-type baggage frame and if your case/rucksack/bag will fit into it they will take it and if not they won't and you are pretty much stuffed at that point. Only small handbags are permitted in the main galleries. Photography is not permitted at the Byzantium exhibition, which is just as well because it was far too busy to cope with people trying to get images. In spite of having bought the earliest tickets of the day it was busy. Thanks to the RA for selling tickets in hourly rather than half-hourly slots it was certainly manageable, but I am very glad that we didn't try for a later viewing as my experience of London exhibitions is that the earlier you arrive the less busy it will be. There were audio guides, as you would expect these days, but fortunately not many people were using them, which meant that there was less of the zombie factor than I have become accustomed to dreading in exhibitions of this size. It was a much richer and more varied selection of items than I expected, representing the period from 330 to 1453. The gallery information boards were excellent, with some good maps, and the exhibition was laid out and ordered in a very practical and helpful way. Galleries were organized by themes, which helped put them into context and break up the sheer assault on the senses. It took us two hours to walk around. I am notorious for taking my time, but I found that the same people were with me in each room, meaning that many of us were moving at the same pace and taking the same time to see the exhibition. The quality of each individual item was remarkable. 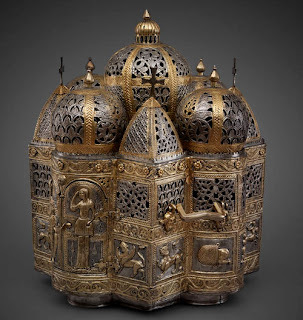 Ivories, manuscripts, micromosaics, items of intricate jewelry and delicate icons were on display along with bigger items like a full mosaic floor, church bells, huge icons from Sinai and elsewhere and pieces of massive church furnishings. The micromosaics were new to me and one of the labels said that there are only around 50 known in the world. Each of the mosaic pieces on some of them is little larger than a pin head. The exhibition is only on until 22nd March 2009. If you're interested there's an excellent adult educational pamphlet available for download from the RA site (21 pages long, PDF format, 3.3mb, lots of pictures from the exhibition and a very useful introductory summary of the Byzantine period). There is also a junior version available (12 pages, PDF format). I didn't buy the big glossy catalogue, available in hard back and paperback, but it looked lovely. 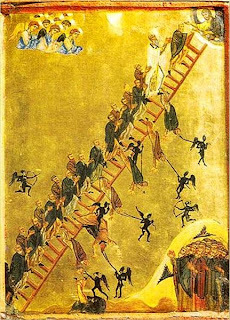 I am currently reading the book Byzantine Art by Robin Cormack (Oxford) which I find a helpful compliment to the exhibition and which examines the question of the extent to which the art work represents continuity with the pagan past and the relationship with the development of art of the western world. Thanks to Tony Judd, who I last saw in the Eastern Desert in 2006, for an absolutely excellent morning. Several key London attractions saw increased visitor numbers in 2008, despite the economic downturn. The British Museum proved to be the most popular, with 5.9m visitors, an increase of almost 10% over 2007. But the Association of Leading Visitor Attractions (ALVA) said many of its members were anticipating a difficult year in 2009 due to the recession. The biggest draws were some of the city's range of free admission museums and galleries. Thanks to Bob for pointing out that there is a really good virtual reconstruction of the the tomb of Menna, the topic of yesterday's photo, on the Discovery Channel website. It is interactive, so you can examine different parts of the tomb by clicking on different areas of the page. Excellent stuff. I am off into town to see the Byzantium exhibition today. As I hate going into town, and rarely do so, I may as well go and do some errands whilst I'm there so I am not sure what time I'll be back. This means that the blog won't be updated until tomorrow. To keep you going here is a lovely photograph by Bob, from the tomb of Menna. The tomb has its own website, put together by the team who worked there for several seasons. With a photograph of the statue in situ. Maintenance workers at Egypt's Giza Pyramids have found an ancient quartzite statue of a seated man buried close to the surface of the desert, the culture ministry said on Tuesday. The statue, about life-size at 149 cm (five feet) tall, was found north of the smallest of Giza's three main pyramids, the tomb of the fourth dynasty Pharaoh Mycerinus, who ruled in the 26th century BC, the ministry said in a statement. Cairo Egyptian archeologists discovered a 4,000-year-old statue as they carried out routine cleaning work at one of the Giza pyramids on Tuesday. The 149-centimetre-long statue was found buried just 40 centimetres below the surface of the sand in the northern part of the King Men-Kau-Re's pyramid (2551-2523 BC). The statue is of an unidentified person wearing a medium-length wig, sitting on a chair with his right arm stretched on his knee and holding an unidentified object in his fist, Zahi Hawas, secretary general of the Egyptian Higher Council for Antiquities, said. Egyptian archaeologists digging around the Pyramids of Giza have discovered a statue of a man that may date back 4,500 years to the Old Kingdom of Pharaohnic rule. The 149-centimeter statue is of a sitting man wearing a wig down to his shoulders, with his left hand on his thigh and his right hand holding his right knee, Zahi Hawass, Egypt’s chief archaeologist, said in a statement today. The statue was discovered 40 centimeters below the ground near the pyramid of Menkaure, the fourth dynasty ruler of Egypt who has the smallest pyramid of the three on the Giza plateau, according to the statement. El Consejo Supremo de Antigüedades de El Cairo informó hoy que la estatua de cuarcita se encontraba muy cerca de la pirámide de Micerino. Estaba en la planicie de las pirámides, por la que pasan a diario miles de turistas, a sólo 40 centímetros bajo la arena. El presidente del Consejo, Zahi Hawass, explicó que la estatua muestra a un hombre sentado con peluca y no tiene inscripciones. El estilo de la pieza, de 1,5 metros de alto, indica que se trata de una obra del Imperio Antiguo, cuando se construyeron también las pirámides de Giza, refirió DPA. 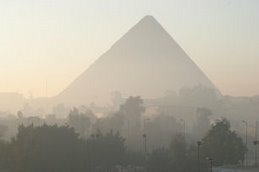 La pirámide de Micerino, contruida en torno al año 2520 antes de Cristo, es la más pequeña de las tres en Giza, en las afueras de El Cairo. La estatua no se halló en una excavación arqueológica, sino en el marco de la reorganización de las visitas turísticas. There's a good summary of the recent story about the Turin Canon on the above page, putting the new discovery into the wider context both of the importance of the Canon itself and the purpose and value of king lists as a whole. An interesting article, and reassuringly positive. A family visiting Egypt were in the Cairo square where the bomb went off only days before. The writer's daughter had a photograph which showed the bench where the bomb is thought to have exploded. But in spite of that feeling of shock which always accompanies this sort of near-miss experience, the author's main point is that they felt safe in Egypt. What is more, they plan to go back in the future. What is most disconcerting now, oddly, is how safe we felt while we were there. And not just in Hussein Square, but everywhere in Egypt. In Cairo, there seemed to be police carrying machine guns on nearly every corner. No one could enter a hotel without first walking through the kind of security machines found in airports. There were dogs sniffing cars for explosives, and in Luxor, where we visited numerous tombs and temples, bags had to go through X-ray machines before you could even reach the ticket booth. I can’t pretend that concerns of a terrorist attack did not go through my mind, given the recent events in Gaza. That much security, everywhere, can’t help but make one wonder about the dangers that make it necessary. And certainly, while walking through the Hatshepsut Temple in Luxor — the scene of a horrific terrorist attack in 1997 that left 58 tourists dead — it was impossible not to imagine the devastation of that day. But the Egyptians we met were so accommodating to us, and so appreciative of our presence with the global economy in such disrepair, that we felt nothing but welcome in their country. Sure, we were hassled at times by guides and merchants desperate for us to part with our money, which we often complied with out of sympathy. people know that these incidents are minority acts of idiots and not the genuine loving attitude of the Egyptian through the ages who loves (and protects) his tourist. Tarek el-Sayyed had no customers at his gift shop in a 14th-century Cairo market where he sat contemplating a difficult future. Instead of buses ferrying tourists to the Khan el-Khalili market, the plaza outside Sayyed's shop on Monday was filled with police officers, a day after a bomb attack in the area killed a French teenager and wounded at least 20 people. "Of course it will affect us," he said in front of his shop that sells replicas of ancient Egyptian artefacts. "At this time of the day buses would be bringing tourists here ... but today things are as you can see." Tourism in Egypt was already feeling the pinch of the global financial crisis as tourists have stayed home. See the above pages for the complete stories. Edward J. Watts, City and School in Late Antique Athens and Alexandria (First paperback printing, originally published 2006). The Transformation of the Classical Heritage; 41. Berkeley/London: University of California Press, 2008. The Table of Contents is available from the above page. A new issue of PalArch's Journal of Archaeology of Egypt/Egyptology (ISSN 1567-214x) is published at www.PalArch.nl. It contains one paper: R. Krauss. Der Berliner „Spaziergang im Garten“ – antiker Murks oder moderne Fälschung? Mit einem Exkurs über Heinrich Schäfers Ägyptenaufenthalt 1898-1901 and four book reviews. Forthcoming is a paper by J. de Haan as well as the Newsletter. The relief slab Berlin 15000, popularly known as ‘the stroll in the garden’, which depicts a royal couple in Amarna style, was acquired around 1900 in Egypt on the art market, and thus lacks an archaeological provenance. Features in favour of its authenticity include the physical proportions of the figures, the anatomically ‘correct’ depiction of their feet, and their costume in general, though not in detail. Other features suggest the relief could be a forgery – for example, the fact that the figures are not typically ‘top-heavy,’ the use of the line customarily indicating the kilt for drawing the king’s lower left leg, the absence of compositional unity in a scene purportedly of the Amarna period, and iconographically unparalleled details of the queen’s sash and cloak. These and other factors, both pro and contra authenticity, are reviewed and considered. Haarlem, van, W.M. 2009. Book review of: Bard, K.A. 2007. An Introduction to the Archaeology of Ancient Egypt (Malden/Oxford/Carlton, Wiley-Blackwell Publishing). (Date of publishing: 20 February 2009). Haarlem, van, W.M. 2009. Book review of: Bonnet, Ch.D. & D. Valbelle. 2006. Pharaonen aus dem schwarzen Afrika. (Mainz, Philipp von Zabern). (Date of publishing: 20 February 2009). Ikram, S. 2009. Book review of: Vermeersch, P.M. Ed. 2008. A Holocene Prehistoric Sequence in the Egyptian Red Sea Area: The Tree Shelter. (Leuven, Leuven University Press). (Date of publishing: 20 February 2009). Moje, J. 2009. Book review of: Landesmuseum Württemberg, Stuttgart. Ed. 2007. Ägyptische Mumien. Unsterblichkeit im Land der Pharaonen. (Mainz, Philipp von Zabern). (Date of publishing: 20 February 2009). All are available for download from the above page. I am writing to inform you of the above major international conference which will be the largest of its kind organised in the Middle East and North Africa (MENA) Region. The Conference is being organised by the Centre for Tourism and Cultural Change (CTCC) based in the UK, and the Council for British Research in the Levant (CBRL) based in Jordan. The Conference is supported by the Greater Amman Municipality. The patron of the conference is Her Royal Highness Princess Sumaya of the Hashemite Kingdom of Jordan. The event will be held in the King Hussein Cultural Centre in the heart of Amman. Dr Taleb Rifai, Deputy Secretary General of the United Nation’s World Tourism Organisation will be a keynote speaker. The aims of this innovative and multi-disciplinary conference are to critically explore the major issues facing the MENA region with regard to the development of tourism and its relationships with heritage and culture, to draw upon best practice from international scholars and, to help develop new research capacities amongst the region’s scholars, policy makers and professionals. The conference will bring together over 150 international delegates, all with an interest in sharing research relating to the changing relationships between tourism, heritage and culture in the Middle East and North Africa. The conference will provide an important occasion for exchanging ideas about tourism, heritage and culture which we recognise as an important mechanism in generating inter-cultural dialogue. UNESCO and ICCROM will be represented. I would like to invite you to attend this major international event. I highly encourage you to attend and register for the Conference. The conference will provide an occasion where scholars can present and discuss Middle Eastern and North African tourism, which I know to be a growing and important phenomenon. It is, I believe, important that the ‘west’ learns more about the MENA heritage and tourism. Alternatively, if your organisation would like to be a sponsor of the conference, or of any of the conference activities, then please contact us to discuss sponsorship opportunities. We will be happy to discuss ways in which we can profile your work. Please do not hesitate to contact me. I do hope you will be part of what promises to be an important event which explores both the challenges and the opportunities for the MENA region. Thanks to Chris Naunton of the EES for pointing out this site to me. As they say in their disclaimer, the site is a piece of fiction and its objectives are confined to Egyptology-based satire. Good fun - a sort of esoteric version of The Onion or The Spoof (the latter of which is running a spoof Egyptology story today, with thanks to Kat for sending it to me!). I particularly like the fact that they chose the font in their banner because it is called "papyrus" in spite of the undeniable fact that it is truly ugly. Thanks to the anonymous person who suggested that my post attempting to clarify the situation re the discoverer of a statue in Luxor was probably giving out duff information. Thanks for pointing me in the right direction. I've simply deleted that post because it seemed to be doing more harm than good! Can Egypt bring Cleopatra's palace back to life? With a four photograph slideshow. Ancient Alexandria was one of the world's great centres of civilisation, and since excavations in the eastern harbour began in 1994, divers have unearthed thousands of historical objects. These have included 26 sphinxes, several vast granite blocks weighing up to 56 tonnes each, and even pieces of what is believed to be the Pharos of Alexandria lighthouse, one of the seven classic wonders of the world. Now ambitious but controversial plans are under way to open up this unique site via an immersed fibreglass tunnel which would enable close-up viewing of the underwater monuments. The designs were drawn up by the French architect Jacques Rougerie, a veteran of water-based construction projects, and have been backed by the United Nations cultural agency Unesco. Next month a detailed technical survey will be launched. "If all goes according to plan, construction will begin in early 2010 and be completed within two and half years," says Ariel Fuchs, a scientific director at Rougerie's firm. The idea is also being promoted by the high-profile marine archaeologist Franck Goddio, who is currently touring Europe with a selection of artefacts already dredged up from the Alexandrian coastline. Yet the project is running into obstacles. Funding for the museum, which will cost up to $140m (£98m), has not yet been secured. The government is hoping private companies and organisations will foot the bill, but a member of the architectural team admitted that "nobody is clear about where the financing will come from". Even if money does come through, a series of formidable technical challenges await the museum's builders, including the question of how to combat the bay's notoriously murky waters to improve visibility in the tunnel, and the problem of ensuring the structure is strong enough to withstand underwater currents. More worryingly, the project has been accused by sceptical locals of being little more than a ''corporate theme park'' with many doubting it will be built at all. On Wednesday of last week, the Gisr Al-Mudir area located at the south-western corner of King Djoser's Step Pyramid complex in the Saqqara necropolis was brimming with archaeologists, workmen and media representatives as Supreme Council of Antiquities (SCA) Secretary-General Zahi Hawass and his team prepared to give members of the public, the first glimpse of the latest discovery of ancient Egyptian treasure to be found in Saqqara. Two weeks ago, during a routine excavation work at the mastaba of the Sixth-Dynasty lector-priest Sennedjem, archaeologists from the SCA stumbled upon what is believed to be a cache of mummies of the 26th Dynasty, Egypt's last independent Kingdom before it was overrun by a succession of foreign conquerors. The mummies, most of which had deteriorated to little more than skeletons, were found inside an 11- metre deep burial shaft excavated inside the Sennedjem mastaba. Although the mastaba dates from a much earlier period, the shaft is intrusive, having been dug during the 26th Dynasty -- almost 2,000 years later. Two sarcophagi of fine white limestone and four wooden coffins were found on the floor of the shaft. The remainder of the mummies was placed in five niches within its walls and on shelves along its western wall. One of the newly-discovered, 2,600- year-old wooden coffins was still sealed, untouched since the days of the Pharaohs. On opening the coffin the team uncovered a body mummified in the style typical of the period, covered with linen and resin. Hawass believes that there are probably funerary amulets hidden among the wrappings. From the finely carved inscription on the coffin, Hawass was able to determine that the mummy belonged to a man named Padi-Heri, the son of Djehuty-Sesh-Nub and the grandson of Iru-Ru. A limestone sarcophagus also remained sealed with mortar until last Wednesday when Hawass and his team opened it up before the public. Inside the dark burial shaft in the Sennedjem mastaba, illuminated only with torches and camera lights, workmen with their crowbars and picks succeeded in lifting the heavy lid off the sarcophagus to reveal a perfectly preserved, unidentified mummy wrapped in dark- stained canvas. A very belated happy new year from the EES! 2009 has already been a busy year for us and there is much to tell you about since the last e-newsletter. As you will know by now the Society awarded grants from its Excavation Fund to four fieldwork projects for 2009: the epigraphic survey and conservation of wall paintings at Ismant el-Kharab (directed by Professor Olaf Kaper), geophysical survey around the Great Temple of Bastet at Tell Basta, (Dr Daniela Rosenow), topographical and geological survey at Sesebi, Sudan (Dr Kate Spence) and an investigation of the Christian church and settlement in the area of the North Tombs at Amarna (Dr Gillian Pyke). Dr Spence has already completed her field season and members who attended the BISI/EES/Birkbeck event recently have already been given a tantalizing glimpse of the results. Dr Spence and the other Excavation fund directors will be presenting the results of their work in full at the Society’s annual conference on 20/21 June this year (see below under ‘Events’). Several other teams will be going into the field in the next few weeks including two of the Amelia Edwards projects (see below), a team working on excavated material from Qasr Ibrim now kept in Aswan, and two Delta Survey projects, at Yitwal wa Yuksur and Sais respectively. Dr Penny Wilson, director of the work at Sais, will be holding an open day at the site for EES members on 4 April. For further details please contact Mrs Faten Saleh in the Cairo office: ees.cairo@britishcouncil.org.eg. The response to the launch of the first round of Amelia Edwards Projects has been overwhelming. The presentations and reception following the Deir el Medina study day on 25 October (photos here), were well-attended and very successful (despite the absence of Angus Graham, director of the Karnak Land and Waterscapes’ Survey, through illness; his recorded message to the audience was very well received!). The Society received a number of generous donations on the night, and several of those present became members of the Amelia Edwards Group by donating £250 or more. In the weeks following the launch an appeal leaflet was mailed to members, and the project directors were again on hand at the Christmas party at SOAS on 13 December to chat to guests and answer questions. Donations continued to arrive throughout the last few weeks of 2008 and into 2009, and we are now delighted to report that all three projects now have enough funding to undertake their work in 2009. The Society is most grateful to all those who contributed to the projects; without your generosity the project directors simply would not be able to undertake their work. Joanne Rowland (Gebel Ramla) and Angus Graham (Karnak) will be going into the field in March, and as with the Excavation Fund projects, members will be able to hear about the results of the work at the summer conference. The Oral History Project had received a good proportion of its funding soon after the launch and no time was wasted in making best use of the funds that had arrived. John Johnston and I travelled to Liverpool to interview Kenneth Kitchen in November 2008, and filmed over 8 hours of discussion of various aspects of Professor Kitchen’s life and career. The material has been deposited in the Society’s Oral History Archive, and once a few technical issues have been ironed out we hope to have a sample of the video footage available online – we’ll let you know as soon as it’s ready. Arrangements have also been made to interview Professor Harry Smith in March 2009, and a report on all the work undertaken so far will be presented at the conference in June. Amelia Edwards Group members have been invited to a special event on 21 May, when the results of the work will be presented for the first time. This will also provide Group members with the opportunity to talk to project directors and staff about possible future work. Several important changes to the governance of the EES were approved at the AGM on 13 December 2008 which followed the well-attended study-day on technology (‘Every Beautiful Thing’). As a result, the Memorandum and Articles have now been revised to take account of new legislation, and in order that the Committee could be recast as a Board of Trustees. Board members were elected at the AGM and include a number of non-Egyptologists, with legal, financial and administrative backgrounds. We believe that the new blend of Egyptologists and others puts the Society in the strong position to succeed in meeting its aims over the next few years. The EES also has a new Treasurer, Mr Paul Cove, an experienced financier currently working for Deutsche Bank. Paul’s financial expertise will no doubt be invaluable as the Society seeks to reduce the deficit projected for 2009-10, in the most challenging of circumstances. Our autumn and winter events proved very popular. The Deir el Medina study day, ‘The Men of the Gang’ was attended by over 200 members and others, and the Museums seminar led by Karen Exell and Ashley Cooke was so oversubscribed that a repeat performance has been scheduled for 21 March this year. Furthermore, the forthcoming seminars on Tell el-Balamun (Patricia and Jeffrey Spencer) and the First Intermediate Period (Glenn Godenho), and the members’ private view of the new Nebamun galleries at the British Museum, have all sold out. We’re really pleased that you have signed up for these events so enthusiastically; we try to offer as diverse a programme of events as possible and hope you will continue to vote with your feet by getting involved this way. As announced in the autumn mailing, the conference this year, ‘New Explorations’ (20/21 June 2009), will focus on the Society’s current fieldwork and research, and is intended to be a statement of where we are in 2009, in our first year since the withdrawal of the British Academy grant. We are very excited about the current work and hope to see as many of you as possible at SOAS in June. A much greater proportion of our work is funded through members’ subscriptions and donations than was previously the case, and we hope that you will be pleased with the way your money has been spent! Tickets are not yet available but full details of the conference and other events for Spring and Summer - including a seminar on statues from Karnak and a lecture on letters from Qasr Ibrim - will be mailed to members in the next few weeks, and posted online. The Journal of Egyptian Archaeology 94 (2008) was mailed during December to members who had paid the relevant subscription. Any members who believe they should have received a copy but have not yet done so should contact Roo Mitcheson (roo.mitcheson@ees.ac.uk). A list of the contents is available here. Roo is currently preparing subscription renewal forms for mailing in March as the new sub year starts on 1 April. We hope you will all want to renew your subscriptions of course and that Egyptian Archaeology 34 which will also be mailed during the next few weeks will be a good incentive! Roo’s renewal forms will include details of a new add-on to membership which will be available from 1 April onwards. JSTOR is an online archive of scientific journals and contains all back issues of JEA (excluding the three mostly recently published volumes). For an additional £10 you will be provided with a password allowing you to download an unlimited number of articles from the Journal as pdf files. If you have any questions about this please do not hesitate to contact us. The overhaul of the Society’s website has unfortunately taken longer than anticipated, due in part to other pressures on staff time, but mainly to the sheer amount of material we want to make available. This has not discouraged people from using the present site which, at the moment, receives over 3,000 visitors each week. The news page (Tumblr) has remained similarly busy with over two and half thousand views in the last few weeks of 2008, and the Facebook group now has just under 950 members, which gives us confidence that we will reach 1,000 by the time of its first birthday in April! LIBRARY: DUPLICATES SOLD, NEW BOOKS BOUGHT! As you will know by now, the Society received a very generous donation of over 900 books from Edwina Iredale in spring last year. A good number were added to the library but the Society already had copies of most of the books in the collection and it was decided that the duplicates should be sold to raise funds for new acquisitions. In December the Society ran an online auction of the most valuable titles on eBay. It was our intention by doing this to involve as many members as possible in the sale - including those outside the UK - and to maximize revenue. Almost all the titles listed were sold, to members and others throughout Europe and further afield, raising approximately £1,700. This money has made a significant difference to the library’s acquisitions budget and a number of new titles have already been added to the collection. A list of new titles is available here. In addition, a new exchange agreement was struck with the Università degli studi of Milan in the autumn. The Society sent a number of its publications to Milan for the library in the department of Egyptology and a very heavy box full of new titles, many of them the publications of the University’s very active programme of research into Egyptological archives, arrived at Doughty Mews last week. The Society’s Junior Administrator, Tina Paphitis, has been cataloguing the books, and a full list will be made available in due course. 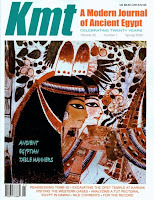 At the suggestion of the Editor, Ancient Egypt Magazine will be running a series of articles on the Society throughout 2009. The first in the series, an article on the history of the Society by the Society’s Director, Patricia Spencer, appeared recently in volume 9, issue 4 (Feb/Mar 2009). In addition a special issue of Current World Archaeology will be devoted to the Society later in the year. The Editor of Who Was Who in Egyptology, Dr Morris Bierbrier, can now be found at Doughty Mews on a regular basis, updating the database. Members who have additional information on the individuals included previously or would like to suggest new entries should contact Morris at morris.bierbrier @ ees.ac.uk [Andie: I have added spaces before and after the @ symbol to reduce spam to the EES - you will need to remove the spaces when you email]. We hope you’ve enjoyed this third EES e-newsletter. The mailing list now stands at over 1,500 and is still growing. Please feel free to pass the message to anyone you feel might be interested in our work, and if you are receiving this message ‘second-hand’ please do contact us – contact @ ees.ac.uk – so that we can add your address to the list for the fourth installment! [Andie: I have added spaces before and after the @ symbol to reduce spam to the EES - you will need to remove the spaces when you email]. Thanks very much to Roo Mitcheson for untangling my subscription for me yesterday with such patient good will and efficiency. The Egiptomania site has made the Armenian Egyptology Centre's most recent newsletter available for download at the above address (in PDF format). Arcade, based on the Millennium system from Innovative Interfaces, Inc., allows users to search all three libraries’ combined resources through a unified interface, while also providing collection-specific searching using Dadabase (MoMA’s catalog), FRESCO (Frick Research Catalog Online), or Brookmuse (the Brooklyn Museum Libraries & Archives catalog). Searches may be limited not only by location, but by format specifications, including auction catalogs, artist books, archival materials, and e-resources. The 2005 season of the Giza Plateau Mapping Project at Giza, Egypt, took place over two periods: January 8th to May 31st and September 13th to December 13th. During the first period we carried out major clearing, mapping, and excavation. We worked on two Pyramid Age settlements, the extensive Worker’s Settlement in Gebel Qibli, designated as Area A (the main focus of our work since 1988) and the Khentkawes Town. Between January 21st and March 17 th we conducted the Giza Field School for Supreme Council of Antiquities inspectors. We reopened the season in September and devoted this period to analysis and study of collections in our storeroom and to work on two areas of the Workers’ Settlement: the conservation pilot work on the Eastern Town House (ETH) and limited excavations of House 3 in area Soccer Field West (SFW) (fig. 1). Our work focused on four arenas: clearing and mapping, intensive excavation, mapping Late Period burials, and conservation. Since 1999 our excavation seasons in Area A have included large scale clearing of sandy overburden and mapping the ruins of an underlying ancient settlement over broad areas, as well as intensive, detailed excavations of selected, specific parts of the site. For the 30 years he has been pursuing this subject, in fact his PHD dissertation was on 21st dynasty coffins. The period 1800-1000 BC is poorly represented by coffins, from the Late Period we have 400 coffins but missing is the 21st dynasty High priest King Herihor who was almost a king. It is quite possible that his burial is also a royal cache and might be the location of the burial of Amenhotep I. Dr Andrzej believes that they are still to be found at or near Deir el Bahri. It is the centre of the whole necropolis and although the temple and courtyard are well researched there is little that has been done in the cliffs above the temple. In 1891 the royal cache was discovered TT320 but largely the cliffs are unknown. In 1972 as a member of the polish team he concentrated on the upper floor which is on a centre line with Karnak. The Ancient Egyptians would not have ignored this as it was an important area. In 1991 a joint polish and Egyptian team started the cliff mission of which he is co director. Their aim was 1) to check there is no danger to the Hatshepsut temple and 2) to see if there is anything there. Jane says to keep an eye on the website as well. At the moment the site is in Polish but an English version is coming out in a few weeks. It can be found at www.herhor.org.pl. Dr. Krzysztof Grzymski doesn't immediately strike you as an Indiana Jones type. But I can tell you that accidentally stumbling across the Royal Ontario Museum's senior curator by the 6th Nile Cataract in windswept Sudan was just as exciting as running into Harrison Ford's character -- the romance of archaeology, I suppose. There Dr. Grzymski was, wearing a Maple Leaf T-shirt and dusting off some shards of ancient pottery, somewhere between Khartoum and Port Sudan. All I could think of was, what are the odds? About 200 miles northeast of Khartoum are Sudan's pyramids, smaller than their well-known Egyptian counterparts, a few dozen significant ruins from the Meroitic kingdom that lasted between 300 BC and AD 300. Not far from this royal burial ground, on a dusty plain with dry acacia and hostile thorn trees, sits an inauspicious looking site that costs US$10 to enter. There is no one around. A short walk from the gate you discover Dr. Grzymski-- an unexpected piece of Canada in this desolate spot. On the outside of his house, his wife, who died last year, had painted a bright red Maple Leaf and a palm tree. Dr. Grzymski was excited when I bumped into him as it had been an eventful time. UNESCO had just sent a delegation to determine whether the remains he is excavating should be deemed a world heritage site. The process, which has to be proposed by the local government, takes approximately two years. "Ancient Nubia, or Kush as it is called in the Bible," he explained, "is after Egypt the second-oldest literate civilization in Africa. It had two main cities, Napata and Meroe. The traditional view is that the Kingdom of Kush arose around the town of Napata (modern Karima) near the 4th cataract, a town founded by Egyptian pharaohs around 1400 BC. Thus the stimulus for the development of Kush would have come from Egypt." Dr. Grzymski believes, and his expedition seems to support his theory, that "the quest for the origin of Kush points to Meroe." He thinks we will reverse our idea that this culture was more native than Egyptian. "Last year I discovered a wall fragment dated by C-14 method to 1000-800 BC," he says. "This year we continued the exploration uncovering more of what is the oldest Kushite building found so far." Up to 2,000 tourists saw in the morning on 22/2/2009 the unique international event to the Sun perpendicular on the face of the King "Ramses II" in his great temple in sanctum in Abu Simble tourist city the rare astronomical and engineering phenomenon are repeated on February 22 and October 22 each year. The director of Abu Simble antiquities said that "The perpendicular fall of the sun started at 6:25 am this morning and lasted for 24 minutes, the sun reached during this time 60 meters distance inside the temple to reach the sanctum hall announcing the beginning of "Shamo " month, which is the beginning of the harvest season at the ancient Egyptians. The Way of Herodotus. Travels With the Man Who Invented History. By Justin Marozzi. 348 pages. Da Capo Press. Sometimes the trip that starts out on the wrong foot can prove to be the most rewarding. You know, showing the fortitude to overcome the initial hassles (missed connection! lost luggage!) and disappointments (tiny cabin! tainted seviche!) can turn a vacation into a journey, leisure into fulfillment. Such is the case in tagging along with the travel writer Justin Marozzi in "The Way of Herodotus," as he follows in the footsteps of one of the world's first travel writers and, yes, "father of history." Marozzi starts with a solid plan: to wander the limits of what was Herodotus's world and look at its nations and people through classical eyes. Thus the book is one long digression - exactly what Marozzi rightly considers Herodotus' "Histories" themselves. First the missteps. Marozzi starts his journey in the tourist trap of Bodrum, Turkey, which was called Halicarnassus when Herodotus was born there around 480 B.C. It's a digression too far: Herodotus had little interest in his hometown, possibly because he put on his traveling sandals and skipped town decades before the completion of its Wonder of the World, the tomb of Mausolos. Marozzi goes farther astray with two America-bashing chapters set in Baghdad, a city built more than a millennium after Herodotus died. Then to Babylon, which Herodotus described in detail but may not have visited; if so, he inexplicably failed to notice the Hanging Gardens. Unfortunately my PC's speakers chose tonight of all nights to fail, so I haven't heard this report but the above link takes you to a BBC News report about the bombing. A short text report accompanies it. My heart goes out to those effected by today's horrors. Institute's newsletter page for more information. NVIC's excavations in Saqqara: From the seventh of February onwards, the NVIC is participating in the Dutch RMO/UL expedition with the aim of excavating below the New Kingdom tombs at Saqqara South. The project is a continuation of last year's successful identification of the 'archaic' structure below the tomb of Maya (Raven et al. 2001, 62, pl. 3) as the burial place of a high official of the late Second Dynasty. Qasr Dakhleh Project: The Qasr Dakhleh Project (QDP) started in 2002 with two objectives: 1. To document and restore some of the unique mud brick architecture of the little oasis town of al-Qasr in the Dachla Oasis. 2. To try to find out as much as possible about the history of al-Qasr. Supported by the University of Groningen and the Netherlands Embassy in Cairo they were, over the years, able to restore or reconstruct five rather large houses, some of them four stories high. AERA’s Giza Lab officially opened for the season on Sunday, February 1st, 2009. This funny place doesn’t look like much from the outside – a low, one story brick-and-cement bunker painted a yellowish dung color – and of little consequence nestled amongst Giza’s imposing pyramids. When the rusty metal door opens with its loud clang, however, a different impression emerges as one’s eyes adjust to the light, and especially as one descends into the heart of the lab. The space is much larger than imagined and everywhere, boxes! These, stacked high on floor to ceiling shelves, are all labeled with the details of their contents and of their origin. These six rooms contain the narrative of the nearby settlement of the Giza pyramid builders, the traces left behind by the inhabitants of this Lost City. Our large and diverse lab team hails from 12 nations and it’s our job to recover stories from the pottery, objects, human bone, animal bone, plants, mud sealings, chipped stone tools, pigments, plaster, wood charcoal, roofing material, mud brick. There is much to do before the lab crew begins to arrive this week and, as ever, our Egyptian inspector and my team of local workmen are on the job. See the above page for more, including details of team members. Our postings are grouped by project week, so please click the most recent week at left to read more. But while you're here...we want to tell you something unique about our blog entries from the Abydos project. 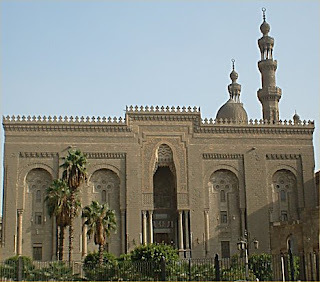 Egypt, specifically the Supreme Council of Antiquities (S.C.A. for short - and isn't Supreme Council a great name for an organization? ), has some special rules concerning foreign archaeological missions. Some of these have to do with our favorite topic, conservation! But the rules pertinent to our blog involve how archaeological discoveries are announced in Egypt. Basically - all archaeological teams must first report discoveries to the S.C.A. And the S.C.A. then in turn reports discoveries to national and international media. What this means for all of us, is that we won't be bringing you news of specific discoveries, nor will we be showing you photos of objects coming out of the ground. But don't worry, there is PLENTY of fascinating stuff happening on the project that we can talk about, so if you're interested in how it all works, this blog is for you. These S.C.A. rules might seem like kind of a bummer, but they exist for a good reason. There is a lot of hype surrounding everything archaeological in Egypt, and crazy stories can spread wildfire. To illustrate this point, below we have a quote from the head of the S.C.A., Dr. Zahi Hawass. "Week 1", which is the first blog post, is now available on the above site. The dig has been underway for around two weeks so far. Pieces of the Turin Canon have been rediscovered. Here's a rough summary of the first few paragraphs: Bridget Leach and Richard Parkinson, British Museum experts, are meeting in the Egyptian Museum in Turin to study papyrus fragments discovered in a cabinet in the basement of the Turin museum. Last summer, Nial Mc Gregor, Director of the British Museum, announced that the British Museum had made available some of its specialists to restore the papyrus. What was not expected, hwoever, was the discovery of new pieces of the papyrus in the museum itself. The discovery was made following the observation that the restored papyrus was missing sections which had been published in 1959. It was concluded that the missing fragments must still be stored somewhere in the museum. After obtaining all the appropriate permits, they performed an extensive search of the museum's basement, the pieces were found in a cabinet, carefully stored between two sheets of glass. Eleni Vassilikos, director of the Egyptian Museum of Turin, explained the importance of the discovery: "They may have to revise the dates of the dynasties of pharaohs and add names." The current reconstruction is incorrect and needs to be revised. Richard Parkinson y Bridget Leach, expertos del British Museum se reúnen en el Museo Egipcio de Turín para estudiar nuevos fragmentos del papiro descubiertos en un armario de los sótanos del Museo de la ciudad italiana. El pasado verano, Nial Mc Gregor, Director del British Museum, anunció que pondría a disposición del Museo Egipcio de Turín los mejores de sus especialistas para restaurar este papiro, uno de los documentos de mayor importancia para conocer la historia de Egipto que alberga. Lo que no se esperaban era hallar nuevos fragmentos en el propio museo. Mientras repasaban la publicación del papiro que hizo Gardiner en 1959, se percataron de que éste, en la Tabla IX, había reproducido algunos fragmentos que no habían sido incluidos por Giulio Farina en la reconstrucción final del mismo, quizás por no casar correctamente con los vecinos. De la misma pensaron que, si el papiro había ingresado íntegro en el Museo de Turín, allí debían seguir los restos perdidos. Tras solicitar todos los permisos oportunos, pudieron realizar una extensa búsqueda por los sótanos del museo, donde aparecieron en el interior de un armario, meticulosamente guardados entre dos láminas de vidrio. See the above page for the full story, with photos and links to more information. EGYPT said on Wednesday it plans to put on public display crown jewels belonging the dynasty that ruled the country for 150 years until the fall of the monarchy in 1952. The jewels have been kept under lock and key in 45 crates in the vaults of the Central Bank and will go on show in a museum in the Mediterranean city of Alexandria, officials said. Culture Minister Faruq Hosni said the jewels will be displayed to the public for the first time a museum where restoration work was launched three years ago but did not say when the exhibition would open. Mr Hosni did not give details about the treasures that will be seen by the public for the first time, nor did he give any estimated value. 'These jewels, which were put in the central bank at the time of the 1952 revolution, will be shown at the Royal Family Museum of Jewellery,' a former royal palace that was transformed into a museum in 1986, Mr Hosni said. There are similarities between Egyptian work organization and software. A phyle was made up of 200 men or 20 men according to other sources. There was hierarchy with a commander over a phyle, and a higher commander over 5 phyle commanders. There also was encapsulation, each phyle being able to perform their own set of tasks without needing the help of others. Modularity was expressed by having separate phyles for the 5 different types of tasks. Polymorphism was manifested by using the phyles for different types of projects: temples, boats, pyramids. Lehner’s presentation continued with their search for the “great city” buried beneath the sand. It was supposed to be a city inhabited by pyramid workers, and the findings showed life sustaining elements like a bakery. A bakery would have fire places where the bread was baked and a number of vessels used to prepare the dough. In order to feed an estimated 20 to 30 thousands people, they had to scale and they did that not by creating one large bakery, but rather replicating the small one into many placed into close proximity. In the rest of the presentation, Lehner’s talked about uncovering the great city and in the end answered questions from the audience. Known in his field as "the Egypt Guy," Eugene Cruz-Uribe, a professor of history at Northern Arizona University, discussed Egyptian pilgrimages before a small audience in Salomon 001 Wednesday night. In his lecture, "Valley of the Kings to Philae: Ancient and Modern Pilgrimages," Cruz-Uribe explained that people often went on pilgrimages for medical reasons, both physical and spiritual. "A pilgrimage would be a journey of at least a day, if not multiple days, and it had to have some sort of significance," he said. The sites that Cruz-Uribe discussed included the Temple of Seti I at Abydos, the Colossi of Memnon and Philae - the three main pilgrimage destinations for Romans traveling through ancient Egypt, he said. Cruz-Uribe discussed research he conducted primarily after receiving a Fulbright scholarship to teach at Egypt's South Valley University for the 2006-07 academic year. Much of Cruz-Uribe's talk focused on ancient graffiti covering the sites. Written in the third person, the graffiti often served as prayers for individuals who were deemed gods after their deaths. "I always wonder about what kind of society allows people to write on the sides and walls of their church," he said, adding that he believes people etched graffiti onto churches once they were no longer in use. One inscription, which read "Djedhor forever," will serve as the title for a book Cruz-Uribe plans to write on ancient Egyptian graffiti, he said.